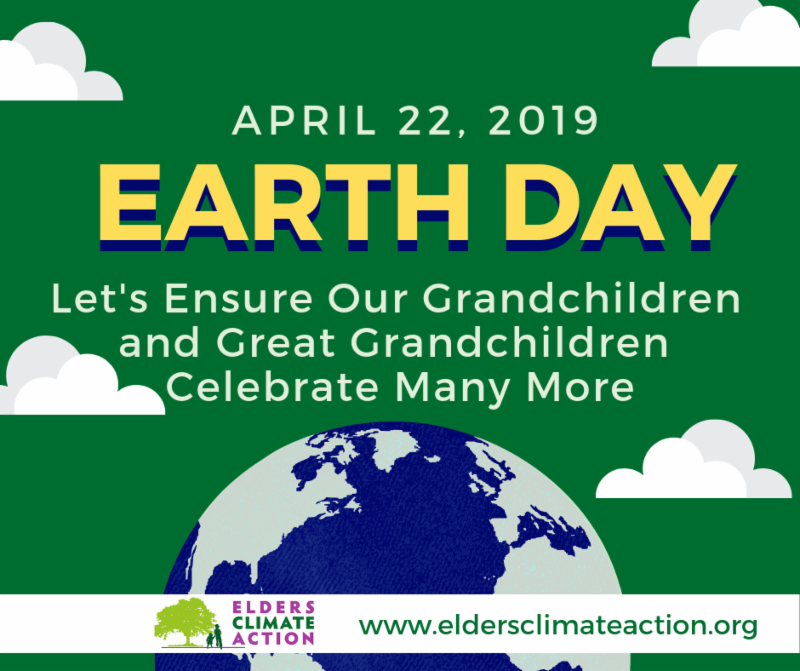 Let's ensure our grandkids can celebrate many more Earth Days! Most of us remember the first Earth Day in the spring of 1970, when more than 20 million Americans turned out across the country to demand that our government take action to protect the environment. Few of us may remember that one of the biggest spurs to the creation of Earth Day was the blowout of an oil platform off the coast of Santa Barbara a year before, killing sea life across an 800 square mile oil slick. President Richard Nixon responded by presenting Congress with a broad-sweeping set of demands to protect our water and air and a reorganization of federal pollution programs that resulted in the creation of the EPA. We may feel despair at the rapid rollback of EPA regulations that protect us from air and water pollution and from the green house gasses that cause climate change. But we need to remember that it was our demands as citizens that got the ball rolling! And, in the face of the recent IPCC Report, the National Climate Assessment and the growing climate-change impacts hitting our country, we are rising again – from elementary school students to striking teenagers to college students pushing visionary climate-change legislation to us, the experienced elders. We are all in this together! We did it once, and we can do it again! 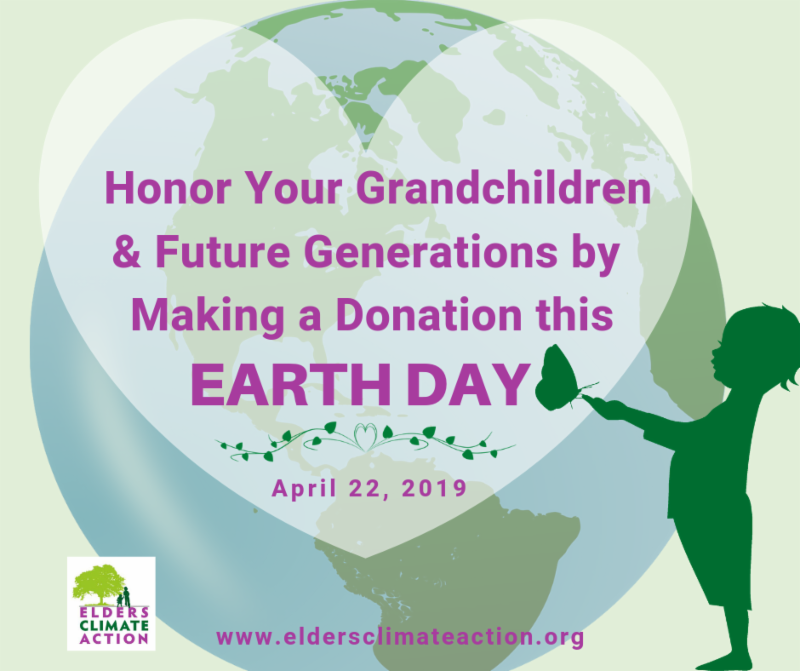 On Earth Day, April 22, we will be calling on you to help support Elders Climate Action. Mark your Calendar to Give and Help ECA raise $2019 on Earth Day 2019! "...the only texts I’d sent were inviting friends to meet for dinner." When I learned about the Environmental Voter Project’s work mobilizing non-voting environmentalists, I wanted to help. But my state wasn’t one of the six states they were focusing on for the 2018 mid-term elections. I could help by sending texts, but the only texts I’d sent were inviting friends to meet for dinner. I took the plunge and learned to use the Hustle website to send texts. It was easy – so easy I sent 101,200 texts for the mid-terms. I’m excited about the 2020 elections, but I’m not waiting for them. I sent 550 texts last week to voters in Gwinnett County, Georgia to ask them to vote on their election to approve expanding MARTA (mass transit) into their county. Voting is a habit, and it’s one I hope to help people build. SAVE THE DATE: C alling all Elders - Join Us! Mark your Calendar and Join us July 10 & 11 for Elders Climate Action Day & Play-In with Moms Clean Air Force. The Elders are headed back to Washington, D.C. We hope you will join us July 10 for Elders Climate Action Day and July 11 for the Play-In at our nation's capitol and Congressional Visits with our partner Moms Clean Air Force. Come celebrate intergenerational climate action with us. Bring your children, grandchildren, and great grandchildren! 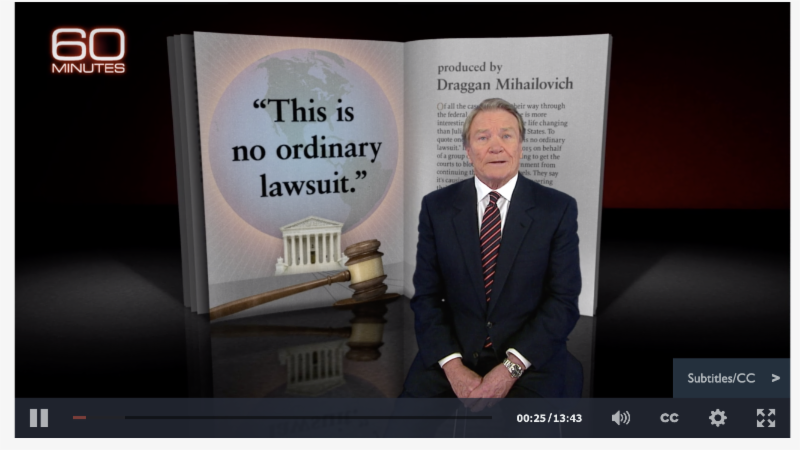 In cased you missed Our Children's Trust on 60 Minutes on March 3, we've included a link. This is a landmark lawsuit filed by kids against the United States for their right to a healthy future. We are excited to see them get this exposure to amplify the message for climate action. Tell us what you have been doing for climate action. Send a 150 word (max) summary of what you've been doing and we'll share it in a future newsletter. Send to info@eldersclimateaction.org . Mark your calendar and plan to join our Spring into Action 2019 Webinar Series. Plan to get inspired, informed and engaged in climate action! Youth Climate Action Panel Discussion with Sunrise Movement, Zero Hour, the Climate Reporter, iMatter and more. ECA has formed a partnership with the Environmental Voter Project (EVP) to encourage millions of strong environmentalists to vote in the 2020 election. Research shows that people with strong environmentalist priorities are not always the most consistent voters but they can be persuaded to vote. ﻿We need to start now to build our capacity for a high impact Elders Promote the Vote initiative and we're ready to organize members and train you to text, call and canvass in your own communities and in swing states. This will be a warm up to a massive effort in 2020. Please click the link below to join the project , we will contact you with the next training date and important project links and information . By joining this project you'll get in on the ground floor of building our national Elders Promote the Vote initiative and forming state and local teams. You can be key in getting out this vote from the comfort of your home or, depending on where you live, in your own neighborhood. We will be joined by the Environmental Voter Project to discuss our new partnership project "Elders Promote the Vote (EPTV)"
We will be joined by the Elders Promote the Vote project team and the Environmental Voter Project to share the outcomes from 2018 and the anticipated impacts of our efforts in upcoming elections. Join us to learn more about the Elders Promote the Vote Project and how you can get involved from home! 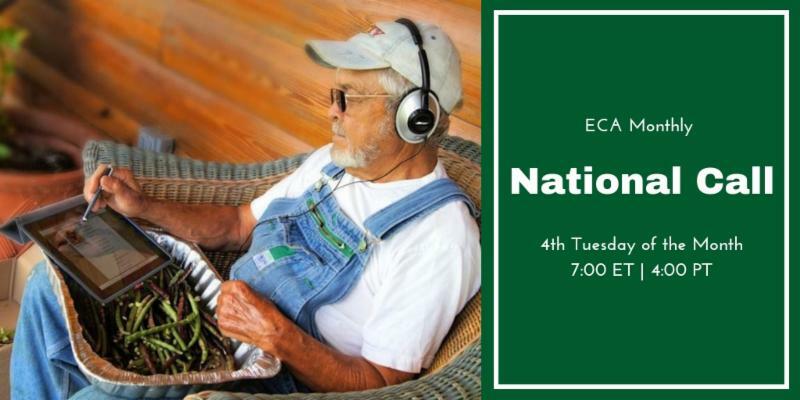 ﻿If you are unable to attend the National Call, RSVP and we'll send you the recording. 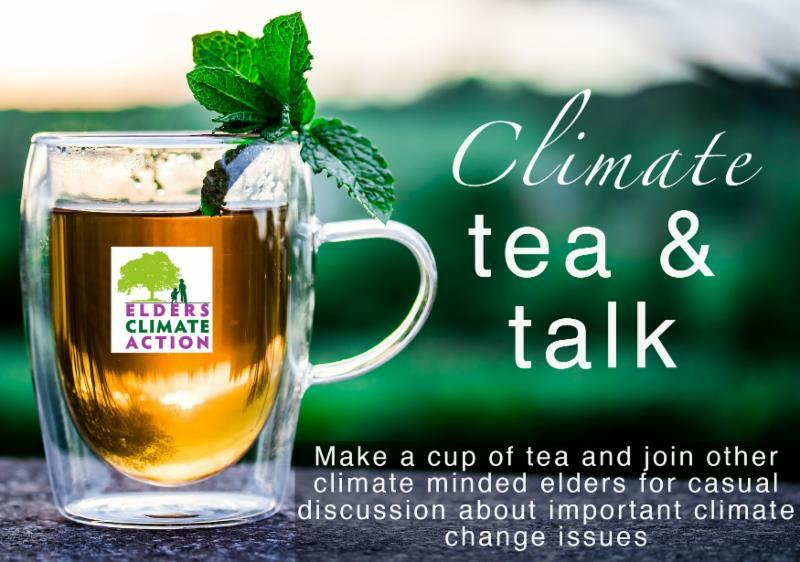 Join us for monthly casual climate conversations and talk with other elders about the climate issues, solutions and strategies that matter most to you. The Drawdown EcoChallenge is a fun and social way to learn about and take action on the 100 climate solutions featured in Drawdown. From April 3-24, 2019 individuals and teams from around the world will take part in simple daily activities to reduce their carbon footprints and delve into the world’s most substantive solutions to global warming. At the end of the Challenge, the teams with the most points will win great prizes, including copies of Drawdown!! 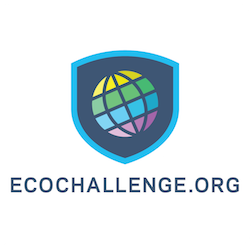 Register for free and invite your community at drawdown.ecochallenge.org.